Glad to see you want to start a team! There are a few things to keep in mind when starting a club. 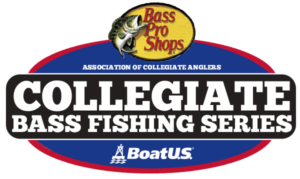 As a main focus, check with collegiatebasschampionship.com for tournaments, discounts, news, job postings, and other info. This site has most of the information you will need throughout the season. But let’s start with creating the club. Starting a club starts within the school, so be sure to talk to your RecSports or club sports department of your school to be recognized from your university. Some universities are as simple as signing up to start a new club, while others will have a bit of a larger process so it is important to find out from your university how clubs or teams are set up through them. After becoming a club at your university, it’s quite easy to start getting involved with the ACA and fishing tournaments. The Collegiate Bass Fishing website is a great resource to check throughout the season. As a new club on campus, the next step is to get members to join. Once you have a team, writing a team constitution is a great way to include everyone and make sure team rules and standards are clear and fair to all members. Once you have a recognized team and are preparing for the season, be sure to check out the Discounts and Incentives page to load up on great product for the season and find ways to win additional prizes at the Bass Pro Shops Collegiate Bass Fishing Series events. From there, you are ready to fish! Check the tournament schedule to see when and where ACA sanctioned and non-sanctioned tournaments will be held. Feel free to contact us at college@carecotv.com with any questions you have!